I’ve been a little quieter than usual lately, and have been trying to diagnose why. Could it be the weather, a new person in my life, or the mild writing slump I’ve been feeling? But whatever the reason, it got me thinking about whether it might not be better for writers to sometimes go off the grid. In case you’re not familiar with the term, “off the grid” used to refer to living off the electrical grid, not connected to any man-made power source. Nowadays it’s broader and means that you’re living a post-consumer lifestyle, largely untouched by a culture that drives us to acquire more, and newer and bigger ‘things’, and to voraciously reach for information in real time, ever-connected and plugged in. Y’know that mild sense of panic you get when you realize you’ve left your smartphone at home? It means you’re plugged in and very invested in that grid for your emotional well-being. No doubt we live in a society where things happen at lightning speed. Whether it’s the Kimye pregnancy news or the resignation of the Pope, if you look away for a moment, you’ll miss it, and folks will be talking about something else. Consider for instance the whole notion of what’s “trending”. “Trend’ used to be a noun, a static thing; now it’s a verb, something active, moving, changing at any given moment in time. For a writer of contemporary fiction, that means that there is an incredible amount of stimuli to take in and process in order to be effective at your craft. Your fiction is only contemporary if you are. I like to tell my friends–and it’s absolutely true–that I need to know everything. Not in the sense of being nosy, but in the sense of being socially and intellectually inquisitive and always up-to-date. If there is some new way of living, dressing, communicating I want to know about it. If there’s a new slang word I don’t know the meaning of, I make damn sure I investigate. And honestly, it’s exhausting. The volume of stuff to know and keep abreast of has grown exponentially just in the last three years alone. So for the past several weeks, I’ve weaned myself of some aspects of the grid, even though I’m not sure that I knew at the time that that’s what I was doing. I can’t completely get off it because for someone like me, it would be the equivalent of starving my brain. I need that kind of stimuli just to . . . be who I am. But what I have done is get down to the basics–responding only to absolutely essential email and communications, reading very little, watching very little television, talking to very few people. And writing practically nothing. The only part that’s been painful is the not-writing part. The rest of it has been liberating. And to my surprise, I don’t feel as starved as I might have expected. Being off the grid for me once seemed risky–how would I know what’s going on? How could I write about modern women and modern concerns if I’m not ALWAYS on top of what’s happening in the modern world? But y’know what? I’m over it. Turns out, when you’re off the grid you miss some things, but generally only the inconsequential ones. The constant need to see what other people are doing gives way for introspection, reflection, and even greater creative thinking than you might imagine. So I don’t know what the gender is of Kanye West and Kim Kardashian’s kid in utero, but that’s information that would only take up valuable space in my head anyway. Having gone through the withdrawal symptoms of someone who generally overloads herself with information, I am now comfortable with the idea of going off the grid once in awhile as a way to rejuvenate, recharge and remember what’s important. I’m curious . 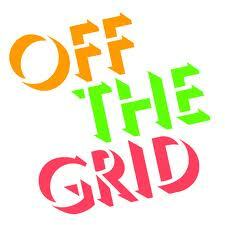 . . is going off the grid something you could see yourself doing? I could go off the technology grid as long as I have music and can write. Always do what you need to take care and restore you! HA! I can so see myself going off the grid for awhile, actually, I would welcome it! …I just have to figure out how and when to do it. Lol! I’ve been seriously thinking about it lately, and I think timing is going to be the key for me. I’m not a big telephone talker, but lately I’ve increased my usual 5 min. limit on Facebook, and I’m feeling the pain of losing so much valuable time by being on it – BUT on the other hand, I’ve met some new people, learned some new things, and have a whole new respect for what Facebook can do (has done for getting people connected). One day I’m going to give myself permission to go off the grid, and I have a feeling – I’m going to absolutely love it! Great post! Before I joined Twitter, I probably could have gone off the gird. Pretty easily. I’ve never been one for talking on the phone or emailing that much, so that wouldn’t be a problem; and while I love my celeb news, I could have gone without it. Give me some good books to read and that’s really all I need (well, besides my family. I guess. LOL!). Then I decided I needed to try out some form of social media, and Twitter was what I selected. But it is the devil, I tell you. I don’t interact a whole lot on there, but something is always going on that people are talking about and it just feeds my ‘need to know’. Now that I think about it, I probably DO need to go off the grid for a minute, LOL! Glad you enjoyed it! I may give it a try… well, we’ll see! Funny that you bring this topic up, Nia. As a former journalist, it was easy to “go off the grid” with watching all the news stations, reading the newspapers, and being afraid I’d miss one single piece of political or national news. It took me years, but now I look back in amazement at how much time of my day was spent watching, listening, or reading there news. My latest plugged-in tool is my email. I’very tempered my mild rush of panic over not reading every single piece of email once it hits my inbox. I can now let at least 10 emails accumulate before reading them. Progress indeed, but I’m looking forward to when I will only check email two to three times daily. I know that I am late with this reply but when I saw this post I had to comment. Since “leaving” Facebook over a year ago I have to admit that the ‘noise’ and angst of staying plugged in has decreased considerably. While letting go of that social community I noticed that I pulled back from tweeting, posting to youtube, tumblr and other sites like pinterest and instagram as well. Can I just say Phew! Lol. Take your time and allow some emails to pill up. There is no Email Police around to make you open them ;-0, they’ll be there whenever you get to it. That is what I tell myself now these days and I juggle five accounts between work and personal email. I used to get super anxious but like another poster I got selective about who I subscribed to and whos emails I could leave for later. I’m so happy I found your books and your blog. So far your postings have hit the mark for me and I appreciate you sharing your thoughts. Thanks, Lo! Still working on the ‘unplugging’ thing . . .